For this edition, we interviewed Juan Alberto Tamayo from Mexican label Loud, Slow and Distorted Riffs Records (LSDR Records). Juan Alberto not only does an excellent work promoting the underground Latin American scene, he’s also an active member of some of México’s heaviest bands, like Vinnum Sabbathi, Fumata and 4 Ciénegas. Enjoy and spread the word! 1) Hi Juan, nice to meet you. How are you doing today? Juan: Hey everyone, I’m good, busy as always but that’s a great thing. I want to say thanks for consider the label as part of the series, it’s an honour! 2) You are the owner and chief of operations of LSDR Records. Could you tell us briefly the history of the label? J: LSDR started back in 2014 as a blog (managed by my brother Roman) to share shows, releases and news from the underground scene in Mexico, we also started a bandcamp to release bootlegs that I used to record from the local shows and even an annual festival in the city with heavy bands from different parts of the country. Then by 2016 we transformed LSDR into a label and started releasing Albums in CD format from underground bands that we like and continued doing the festival and the bootleg series. We focus on limited releases with the idea of helping new bands to have their music on a physical format, so we only make 100-200 copies of each Album. We have been lucky enough to be able to work with amazing bands from other countries like Weedruid from Germany and Cegvera from the UK. 3) What were the reasons that motivated you to start the label? J: The main idea was to create our own label to release the stuff from Vinnum Sabbathi (our band) since at the time we didn’t have any support from other record labels. We managed to release a reissue of the “Fuzzonaut Split” and two versions of our Album “Gravity Works” and thanks to the support of the fans all copies vanished quickly. 4) What was the first release of the label? J: The first EP from our buddies Saturno Grooves from Durango. They are one of my favorite bands to see live and when they approached us back in 2016 we immediately were on board to release their material. 5) How many albums have you released so far? J: We have released 14 titles to this date and I’m glad to say that most of them are now sold out. Like I mention above, we focus on limited copies, this also with the approach of trying to sell them fairly quickly and move to other releases. Since we really don’t make much profit from the label we try to keep it running by itself with the only purpose of helping the bands. 6) Do you have a favorite album among all you have released so far? J: At least for me it was really special of being able to release “Into the Acid Swamp” from Weedruid because I discovered that album years ago and I never stopped listening to it, then last year (2017) we managed to play in Berlin with them and became good friends and they agreed to let us release their album on CD for the first time, since they had issues trying to get it out before. 7) If you could include a band as part of the label’s roster, which one would it be? Why? J: That would be El Ahorcado, a heavy doom band from San Luis Potosí. Their only album is for me one of Mexico’s best doom releases, sadly they called quits some years ago. Go and listen to their stuff! 8) What format do you prefer for your productions? CD, Vinyl or Cassette? J: So far, we have worked with CDs only because that’s the most accessible format for us, we really want to start doing vinyl releases and we’re working to make it happen in a near future so stay tuned for that. 9) What recommendation would you give to that person who is thinking of starting a record label? J: I’d say have passion and patience about what you want to do because you’ll need it when hard times come. Passion for the bands and their music because you must like what they do in order to put time, money and energy on them and patience because for things to start moving you first have to work nonstop. 10) Finally, could you give us your opinion and balance of the current stoner / psych / doom scene? 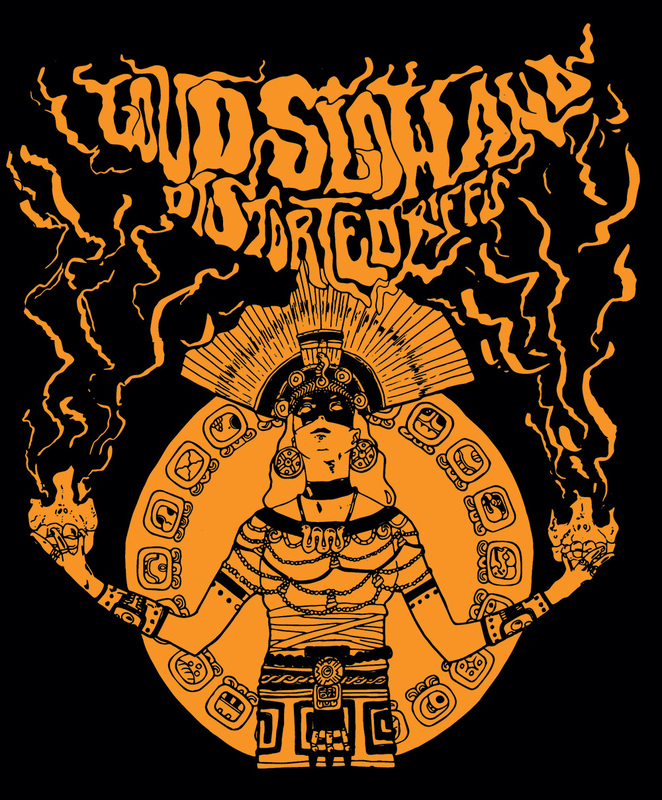 J: Well Mexico has a really small doom/stoner scene compared to South America but I think there are great bands keeping it alive right now like Terror Cósmico, Malamadre, Owain, Saturno Grooves, Electric Mountain and Bardo to name a few. We’re having a great moment for international bands playing here, just this year we’ve had Red Fang, 1000mods, Sleep, Om, Toundra, Here Lies Man, Earthless, Elder, Mars Red Sky and Samsara Blues Experiment. This is huge for Mexico and it’s just possible because some promoters started looking to doom/stoner acts here, so wouldn’t be possible without promoters like Kill Pill Clvb who are really pushing the envelope and trying to settle a network with other countries. 11) Thank you very much Juan. All the best for you and your projects in the future. 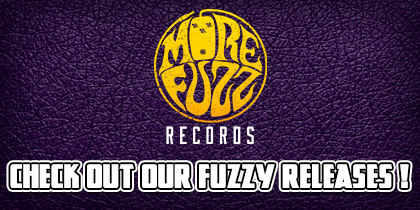 Thanks again for the space and the time, greetings to all the More Fuzz team and the people who support small labels! Second EP from Tijuana’s Sludge Metal monster. 6 tracks full of heavy riffs and harsh vocals. Feel the anger and bang your head with this monster. Another instrumental band, a power trio from Durango (Mex.) that plays an excellent mix of Stoner Rock and Heavy Pysch. This is their new and it’s a major improvement from their previous album (also released by LSDR Records). A power trio of lefties, these guys knows how to raise the temperature of any venue with their Stoner Rock infused with a 70’s Heavy Rock vibe! For Fans Of: (early) Santana, Child, Geezer. Another power trio from México, this one plays Psychedelic Heavy Rock. For Fans Of: Ancestro, Culto al Qóndor, Mother Engine. An instrumental band with an eclectic proposal that mix elements of Post-Rock, Drone, Stoner Rock and more. Win CDs & Bandcamp download codes ! If you like what you heard from LSDR Records, here is your chance to get some nice prizes with this giveaway just below ! Enter the giveaway with a valid email or social account.